LiveAuctionWorld.com and iCollector.com are hosting over 380 lots of firearms, ammo, and military collectibles and surplus, from Poco Military and Outdoor Supplies. This is a timed auction closing on May 30th. Included is a wide assortment of firearms and accessories, collectibles, military surplus clothing and goods, and much more. Registration and secure bidding is available on either platform and can be accessed from any computer or mobile device. Poco Military has been serving the Metro Vancouver marketplace since 1994. They have been providing quality goods to adventure game players, police, military cadets, and hunting enthusiast throughout their history. With their entry into online auctions, they invite the entire country to share in their outstanding commitment to service and value. There is a large selection of firearms up for grabs in the auction. At the beginning of the online catalog a highlight is at Lot 2. This is a Swiss K31 Rifle (surplus) with 7.5 x 55mm caliber. 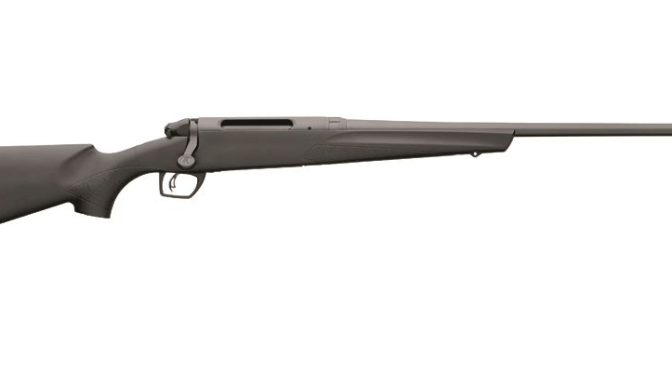 This comes with a leather sling and is a magazine fed, straight-pull bolt-action rifle. It was the standard issue rifle of the Swis armed forces from 1933 to 1958. It has a 6 round removable magazine, and a charger is used to load the magazine from the top of the receiver. A selection of photos and a full description are available for viewing in the online catalog. Lot 74 will be popular with bidders. This is an Iver Johnson 9mm 1911 “Zombie”, black pistol with 3 clips. It is new and with its case and has a synthetic black body. Bidding has already been active on this pistol and is one of the highlights of the catalog. Jumping into shotguns ,looking back at Lot 15 they have up for auction a Mossberg 500 Chainsaw shotgun which is new in the box. This includes the large handle and meat tenderizer flash hider, with 12 gauge caliber. This is a must have and will sell for a fantastic price. Lots 185 to 194 are a selection of model kits for enthusiasts to enjoy. There are several jets and tanks among the grouping. The standout is selling at Lot 188. It is a British Valentine Mk. II Infantry Tank with 1:35 scale and is sealed. The bidding will close at 5PM Pacific Time on Saturday May 30th. Some of the items have reasonable reserves on them and the rest will sell absolute to the highest bidder. All items have a full description , photos, and bidding requirements listed in the online catalogs. 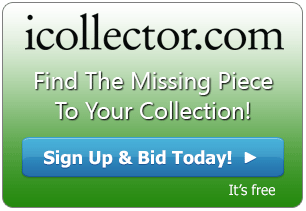 The catalog can be viewed on either iCollector.com or LiveAuctionWorld.com by searching for Poco Military. Whether the need is quality firearms, ammo, or military or outdoor door supplies, this auction has it covered.